🌠 Get To Know CARDbuyers - Online Shopper Platform [Beta] Set To Release NEXT Week | Buy with Amazon, Apple, Steam and PaySafe Cards And More..
CARDbuyers is ripe for the new beginning in the Gift card industry. Gift cards are a multi billion dollar industry and growing. If states were to be believed, E-Gifting is the fastest growing industry with a 200% rise a year and that means potential for new entrants. Gift card rapid adoption comes as no surprise in today’s world where every industry is going digital. However, e-gift cards don’t seem to solve many of the industry’s problems, other than conveniently keeping them organized in customers’ phones. The major factors that drive the gift cards market are technological innovation in product offerings, rise in adoption for the retail industry, increase in application areas among end users, and high adoption rate of smartphones. These cards establish a medium that supports smooth and hassle-free purchasing procedure during a variety of events, such as dining, entertainment, gaming, retail purchases and convenience shopping etc. All that sounds really fancy, but what if we could truly double that potential with integrated payment solutions, cashless transactions and increased transparency. CARDbuyers have worked tirelessly to stay ahead of the technological advancements in the fast changing industry and introduce blockchain to make it more viable. Let's take a look at the work done so far. CARDbuyers is developing a new state of the art online shopper platform. Where users of all sorts will be able to shop online exploring the true potential of what we call the Crypto-Experience. The online store is still under construction. The beta version will be launched in the 4th quarter of the current year for extensive community testing and feedback to cater the current user needs. This will enable the team to measure the community expectations and updated user preferred advancements. CARDbuyer believes that enjoying all the above features should not come at the cost of your privacy which is why you are offered complete anonymity while shopping online or using the platform. One of the problem that the Gift card industry faces is the number of fraud and how it costs the industry an exorbitant amount every year and is surprisingly easy for fraudsters to pull off. Card security is so low that balance theft is rarely reported or legally pursued due to the lack of personally identifiable attributes proving ownership of a card. I believe that blockchain technology can change that for forever with it's publicly distributed ledger advantage. Over the years, in my friends circle I have noticed that most of their gift cards go unused and while writing this I came to know that it happened to many people. But this is not the problem. The problem is, there's no reliable place to sell your cards and arrange an agreement between the buyer/seller. I am pleased to know that CARDbuyers store will overcome this issue. I have a particular liking for Masternode coins as they offer the option of earning passive income. You may not always make money in trading but you will always make money with running masternodes. I believe that one should increase the sources of passive income. It offers a great flexibility and free's your from financial worries in the long-run. 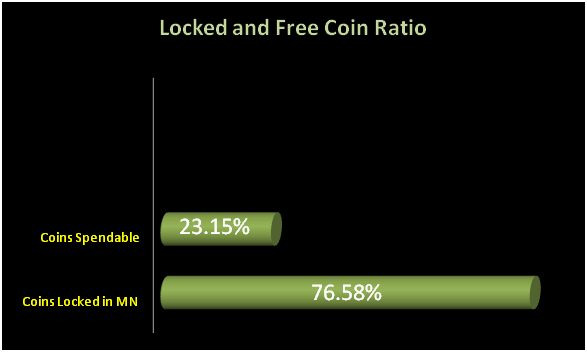 As of now, CARDbuyer has 257 active masternodes with 1,285,000 BCARD locked inside - which makes is a wonderful ratio (76.85%) for any coin to cheer. As per masternode online, the current ROI for CARDbuyer is a massive 2,852.53% with $75 worth of daily income. In conclusion, the global gift cards market is estimated to witness significant growth in the coming days. The gift cards market is influenced by the rise in demand for technologically advanced products, and increased spending capacity of consumers. However, diverse types of fees and other hindrance associated with card transaction and lack of security measures as compared to credit/debit cards limit the market growth. The rising adoption of digital e-gift cards can be further accelerated and much improved by making use of the core principles of blockchain technology and decentralized applications. Given the right use of blockchain technology and approach towards creative marketing, BCARD is poised to excel in the Gift card industry. If you would like to know more, visit http://cardbuyers.skypool.fr or get in touch with the BCARD team via any of the following forums. i think that in the future everyone will use crypto . this is a great post mate!. thank you for it. btw will be nice if you guys can check my posts :). Thank you. Sure, I will. Thanx again for making it so readable and simple. Sure, thanks for paying a visit. Finally.. crypto's getting more and more popular these days! Thank you for this explanation. I personally did not know about e card gift. Thanks for paying a visit to my blog. A lot is happening in the digital gifting space. Thanks. Wow, what a great offer! @ghayas, I think cryptocurrency is future, now we can literally use crypto to purchase. Good news only. Yeah, there we go, its now present! Let's utilise this opportunity. Thanks for the thoughtful and wonderful post @ghayas. Thank you for paying a visit. Appreciate it. Hello, But where or how can I get more information? You need to read the post. There's everything you need. Splendid. But how can I get more information??!! Exactly. It's a multi-billion dollar industry and those who step in first will be able to grab a chunk at least. Gift card industry has recently been taken by storm by CARDbuyers. CARDbuyer is currently developing an online shopper platform, where users can have a taste of the Crypto-Experience. Right now, the online store is under construction, but soon will be open to the public. Their goal is to provide transparency, integrated payment solutions, and cashless transactions. Further, it will offer anonymity to its users. All this will be possible thanks to blockchain technology. As a conclusion, CARDuyer might become a solution for the gift card market, which at present is under terrible pressure. Great... I think crypto is we future and use crypto to purchase. Do you believe that BTC will go up soon, sir? I am not very optimistic. But big names are. lol that always happen to me. I always mess up. It would be great if you could sell your cards on a reliable store. This post has received a 42.62 % upvote from @boomerang. You got a 24.64% upvote from @postpromoter courtesy of @tpot! Following. This sounds great! It fills a use case. i think it is the best choice ob buying. Thanks @ghayas! Upvoted and followed! Crypto works well with gift cards! Eye test! 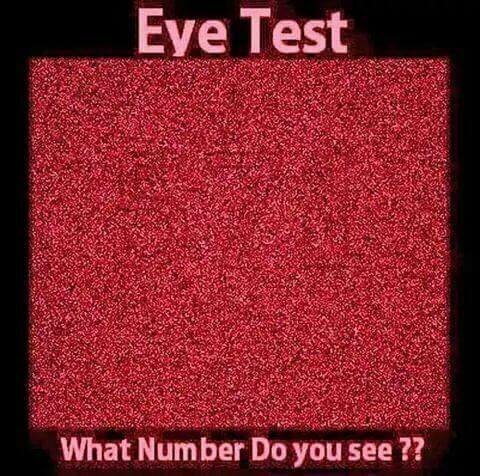 What number do you see? It is said that 80% of people can't see it! This sounds awesome. Glad I came to know about this. thnx. Dear author, I really like your content! You’re writing in a very interesting manner! Please, upvote it! I’ve upvoted yours in advance. That's a really nice way of dropping your links on others post. This will only lead to flags. Steem is the best blockchain ever! I've never experienced an online community where my desire to create has been so uninhibited. I'm free to create content as I wish and others are free to read it. The beauty is in the simplicity and uncensored nature of this system that affords us a place to be free and explore. I never considered needing to improve gift card security but it makes sense as it is so easy to have fraud. I'll keep this in my back pocket from now on. Neither did I. But if I can have an extra layer of security free of cost, I would. Muy interesante adicional que facilita a la hora de regalar a familiares o amigos es una forma ingeniosa de dar sin ser tu el que escoja, adicional que nos evita la vulnerabilidad.